Good condition. 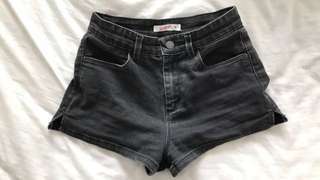 Black denim shorts from Supre, size 8. 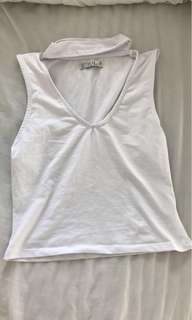 White top with fabric choker from Cotton On. It’s super cute and is a medium. There is a small hole on the side so price is negotiable. Perfect condition// never worn. 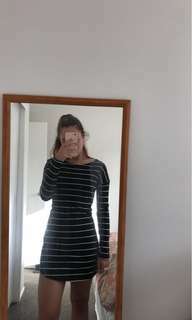 Black and white stripey dress from Glassons, extra small. 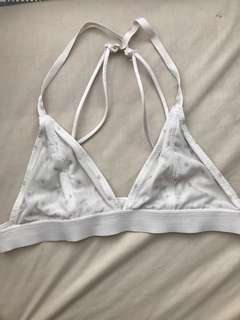 Cotton On bralette never worn. White with sparkly silver polka dots and is mesh. Really pretty (picture kind of distorts how the fabric looks) and is probably best fitted for a b-cup. Cotton On don’t have this bralette design in stores at the moment. Pale turquoise bikini set from Glassons. Bikini top is a size 8 and bikini bottoms are a size 6. Good condition.